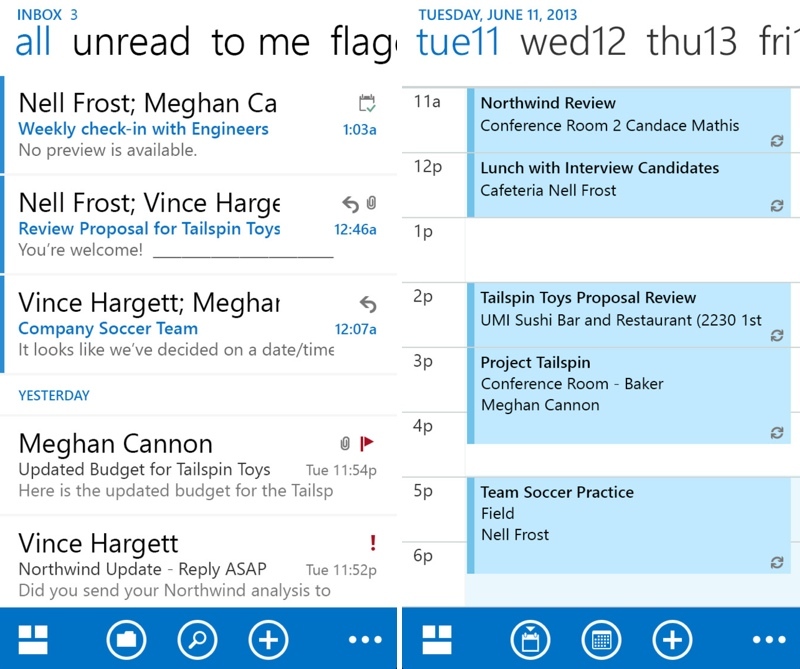 Based on the browser version of the Outlook Web App, OWA for iPhone and iPad offer standard access to email, calendars, and contacts along with “additional capabilities that are only possible through native integration of the app with mobile devices." The apps, which are available only to customers with an Office 365 business account that includes the latest version of Exchange Online, offer a number of features like quick email organization options, shared calendars, and voice command support. OWA for the iPhone and the iPad are both available for free from the App Store. Baahh - I still have an original ipad and the OWA for iPad app requires a front facing camera. EMAIL shouldn't require any camera. It's email, not video conferencing like skype. Not going to "rent" ANY software, so I'm out on this one. This app is for Office 365 for Business ($60-180/year per user), not to be confused with Office 365 Home Premium ($99.99/year for up to 5 PCs/Macs). If you ask me, Microsoft created too many tiers. I toyed with the iphone version and after a minute or 2, it displayed "this content is ready for offline use." MS's plan is to eliminate on-premises Exchange and will eventually offer it only as a hosted subscription. Eventually, you'll be on the bus rather than under it. I would never allow them to host the mail in my company and I know others who feel the same way. If they do not meet the on-site market need, another company will step up and do it for them. Microsoft is a good friend for Apple to have. Baahh - I still have an original ipad and the OWA for iPad app requires a front facing camera. That's a bit creepy. This is Microsoft-- they're supposed to be lame, not creepy. Google has the market cornered for creepy. If you don't think the plan explanation just sounds painful, then nope, there are not too many tiers.